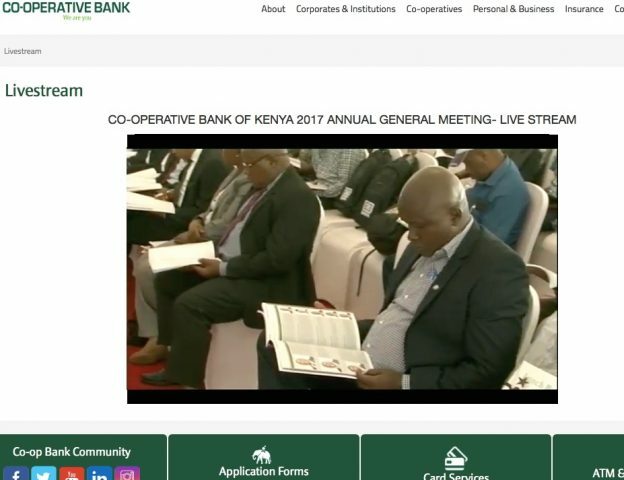 Cooperative Bank (Coop Bank) shareholders had their 2017 AGM in Nairobi where the directors proposed a Kshs 0.8 per share dividend as well as a bonus share for every five held. At the AGM, their CEO, G. Muriuki, spoke of continuing the turnaround at the bank which had a Kshs 2.3 billion loss in 2001 when they had 100,000 customers – and on through 2016 when they had Kshs 353 billion of assets, Kshs 18 billion profits, 149 branches, and 6.2 million customers. The cooperative sector remains the heart and identity of the bank, and they will continue to provide services to the sector. The cooperative movement also forms the anchor shareholding of Coop Bank with a 65% stake. At the AGM, there was also discussion on some challenges such as court cases & loan provisions, funds at held Chase Bank and hyperinflation in South Sudan which has resulted in losses. 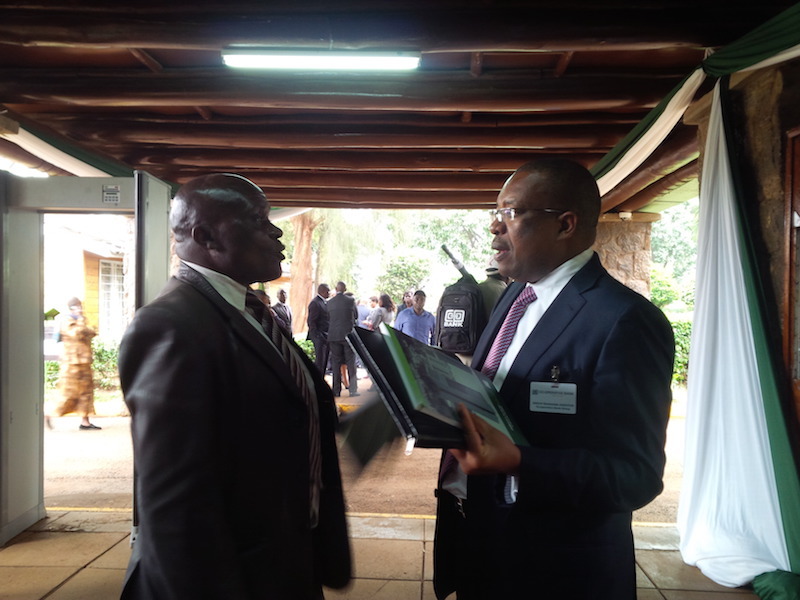 Some shareholders also asked if they could have the annual report mailed to them via post offices and also had other queries on issues like diaspora banking services, staff fraud, PesaLink, interim dividends, the bank’s share price, transport fare to attend the AGM, cyber crimes, and interest rate caps. In answering one question, the CEO said Cooperative Bank was not one of the bidders for Chase Bank as they had a presence similar to Chase and would focus on growing organically. This entry was posted in AGM, Chase Bank, Co-op, NSE investor awareness, South Sudan on May 26, 2017 by bankelele. 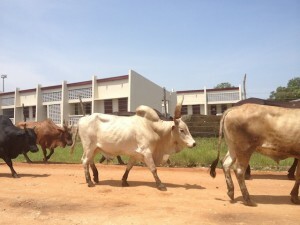 Financial Sanctions for South Sudan? Yesterday, the Sentry Group, whose mission is dismantling the financing of Africa’s deadliest conflicts, released a report on corruption in South Sudan. As the fighting in South Sudan has gotten worse, with the leaders unable or unwilling to pursue peace, it’s been an open secret that they have economic links, some of which are in Nairobi, especially in real estate and banking. Even President Kiir and Vice President Machar themselves have acknowledged that corruption is at the core of the country’s current crisis. “An estimated $4 billion are unaccounted for or, simply put, stolen by former and current officials, as well as corrupt individuals with close ties to government officials,” President Kiir wrote in a June 2012 letter to government officials that was leaked to the press. Most of the funds that these kleptocrats have amassed appear to come from the oil, mining, foreign exchange, and banking sectors as well as food procurement and defense supply contracts from the government. South Sudanese leaders have paid lip service to the need for oversight, but public institutions have been transformed from entities that are supposed to safeguard the rule of law and provide social services into predatory entities that do quite the opposite. 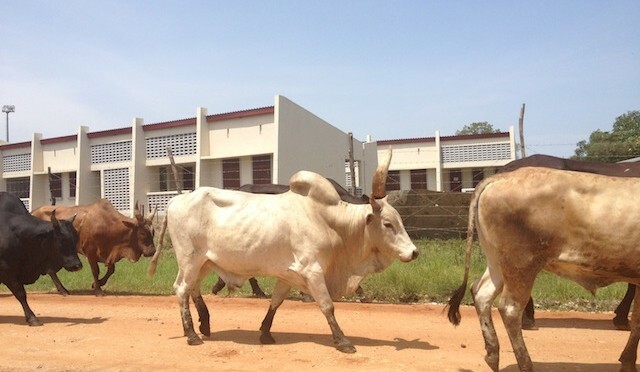 Top South Sudanese officials and their immediate family members hold stakes in numerous commercial ventures are not actually available to the public…Immediate family members of South Sudanese politically exposed persons – (a.k.a. PEPs) should be required to declare their assets. U.S. authorities, as well as their counterparts overseas—in places like Australia, the European Union, Kenya, and Uganda— should open investigations that could lead to the forfeiture of criminally derived assets and to the prosecution of those involved in profiting from corruption in South Sudan. Governments should thoroughly examine whether or not banks involved in these transactions fulfilled their due diligence, reporting, and compliance requirements. The facilitators and enablers of corruption and mass atrocities should be priority targets for sanctions designations. .. been facilitated—knowingly or not—by a wide range of lawyers, brokers, banks, and foreign companies. The U.S. government and U.N. Security Council have already sanctioned a series of mid-level commanders from both sides of the conflict in South Sudan. The failure to follow on these actions with any meaningful scrutiny of higher level targets muted any message these actions may have had, resulting in a perception in South Sudan that the international community is not serious about imposing consequences. Kenya and Uganda, in particular, have relatively solid anti-money laundering legal frameworks on paper that can provide a basis for action against corruption, as well as demonstrate that local laws are being violated by banks that process suspicious transactions on behalf of South Sudanese PEPs. These banks should already be conducting enhanced due diligence on South Sudanese PEPs, according to the FATF Recommendations, and taking other measures required to prevent suspicious transactions. Kenya Commercial Bank processed large payments from multinational companies operating in South Sudan into the accounts of two senior South Sudanese politically exposed persons over a period of several years. Violent takeover of KK Security”: One of Machar’s relatives became involved—albeit highly controversially—in KK Security, a Kenya-based company active throughout East and Central Africa. For KCB, or any other Kenyan banks operating in South Sudan, they are really without blame. The report does not highlight if the transaction with the leaders were in Kenya or in South Sudan where they have 18 branches. South Sudan is relatively small for Kenya banks, accounting for just 13% of assets outside Kenya (Tanzania is 39%, Uganda is 30%). In the absence of rules from the (regulator) Bank of Southern Sudan, (unlikely) or Kenya’s CBK, or the Kenya government, to freeze doing business with people who probably are in charge of other South Sudan government accounts at the bank, is asking too much. This entry was posted in corruption, economic sanctions, KCB, South Sudan, Sudan investments and tagged Sanctions on September 13, 2016 by bankelele. Co-operative Bank of Kenya (Coop) had its 8th AGM (since listing) on Friday 27th May, at Bomas, in Nairobi. At the end of 2015, Kenya’s 3rd largest bank had 342 billion in assets, and profits of Ksh 15 billion. It had Kshs 208 billion in loans and Kshs 265 billion in deposits. The CEO also mentioned that Q1 profit in 2016 was almost Kshs 5 billion and they hoped to attain Kshs 20 billion by the end of 2016. Soaring Eagle: The CEO gave an update of the ongoing transformation project that seeks to improve Co-op’s efficiency and services to the 5.9 million customers of the Bank. Now, only 25% transactions are done at branches, as customers have the choice to use other channels like mobile phones, ATM,s internet, or bank agents. Internally, staff are tasked to cross sell bank products & open accounts, and they receive promotions, bonuses, and increments based on KPI’s and appraisals. They consulted with McKinsey for some of this. Regional Expansion / Subsidiaries & Associates: They own 60% of Kingdom Securities (stockbrokers), and in South Sudan they own 51% of Coop Bank there, with the government of South Sudan owning the other 49%. The bank went from a loss of Kshs 687 million to a pre tax profit of Kshs 850 million, and the CEO said that Sudanese see the bank as their own, as they have a stake a board and management are local. They plan to use the same joint venture approach to take Coop Bank to Ethiopia, another large closed banking market. They also own 100% of Co-op Consultancy and Co-op Trust Investment Services, 35% of Cooperative insurance (parent of the listed CIC insurance) and 31% of CIC South Sudan. Shareholders: The bank has almost 96,000 shareholders who will each receive Kshs 0.8 per share in dividend – and this will total Kshs 3.9 billion in 2015 (up from 2.4 billion). The bank Chairman said that they had to maintain a balance with the dividends paid out so that they they did not have to call on shareholders to put money back in to the bank as it grows. Coop shares were issued after a 2008 IPO at Kshs 9.5, and now trade at 18.3. They have also issued bonus shares (twice?). Elections: During the shareholder election, the CEO explained two unique points. One was that Coop Holdings which owns 65% of the bank, had already had its AGM and nominate 7 directors (that they are entitled to) and merely forwards the names to the Bank for endorsement at the AGM. Second was that the CMA now requires that companies make shareholders aware that they have audit committees, and to have shareholders vote for the members of the audit committee at the AGM. One Shareholder asks about the cost of banking saying that If he deposits Kshs 100 at an agent, Kshs 20 is cut, and there’s another Kshs 50 for each of his ATM withdrawals. The CEO they share these fees with the agents who have to pay for costs like electricity or to run their kiosks. Another one asked that Coop asked the bank to open more agent locations (now at 8,765) to serve other parts of the country. Insider Lending at Coop? The CEO assured that all loans taken by directors (total about Kshs 300 million) and employees (about 6.5 billion) are being serviced properly, and that they are known to, and approved by the board. Insider lending had brought down other banks in Kenya, but, he said, this was not an issue at Coop. Legal cases? All banks have legal cases, and they highlighted the main ones in the annual report. This entry was posted in AGM, Bank rankings, bank service, CMA Kenya, Co-op, McKinsey, NSE investor awareness, South Sudan and tagged 4], AGM on May 28, 2016 by bankelele. While most eager businessmen and doe-eyed development workers might shell out the cost of a ticket, the government’s new visa requirements could be a hurdle for some. Applicants are expected to have invitation letters and business documents explaining the purpose of their trip. A single journey visa (valid for a month) costs US$100 and a multiple entry visa costs even more. Also required are two photos, a valid yellow fever card and a travel permit (if you had visited South Sudan before independence). Once in Juba, getting through immigration, baggage claim and customs is daunting as the arrival lounge is a large empty space with few signs and no air conditioning. The heat is exacerbated by the large number of passengers struggling to claim their bags and get them checked by customs in no defined sequence – and unclear signage has some visitors claiming their bags before being checked by immigration instead of the other way round. There are no unexpected taxes at the airport and a cab ride into the heart of Juba town ranges from 30-45 South Sudanese Pounds (SSP) or (US$10–$15 at the official dollar rate). English is the national language, though most people speak Arabic as well. Accommodation: Finding a decent hotel at an affordable price is a challenge as there is no apparent standard for hotels and bed and breakfasts. On average, a simple hotel room (either prefab or cement) ranges from US$160 – $400 with breakfast included. Full board prices can range between US$180 to US$500. But, the higher prices do not guarantee accommodation equal to a five star hotel. 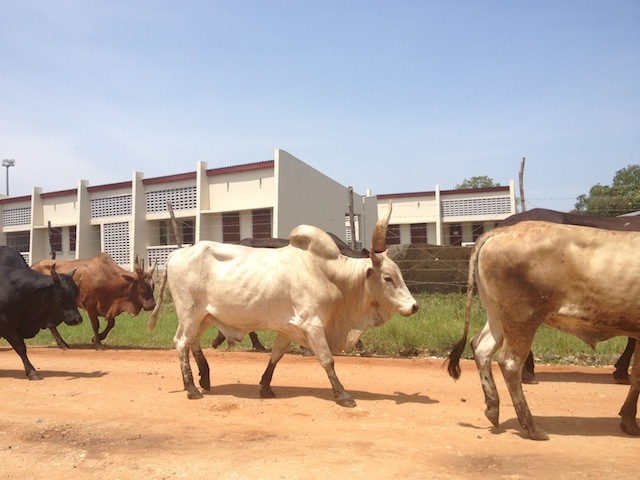 Cow’s block traffic on main road in Juba town. The most recent crisis between Sudan and South Sudan has gravely affected South Sudan’s economy and the cost of living has significantly increased, with inflation high and foreign reserves are low. The black market price of the SSP is almost 50% higher than its official rate. This, (among otherreasons) coupled with the fact that, it is a landlocked country with limited agricultural productivity, has caused food prices to be significantly higher now than they were a year ago. One can easily spend about 60SSP (US$20) on meal of fish and chips. There are cheaper options, however, as you can find a delicious meal of ugali and Sukuma or foule in some restaurants. Communications: Getting a local SIM card is pretty easy. Most people have two lines either Vivacell or Gemtel. For international calls, Gemtel is relatively cheaper than Vivacell. Unfortunately, neither Safaricom (Kenya) or T-Mobile (USA) SIM’s have network coverage in South Sudan. Other MTN subscribers are able to roam in most parts of the country, but getting data on mobile devices with Vivacell or Gemtel is difficult as it needs to be configured at headquarters. South Sudan does not yet have a power grid. All electricity is supplied by generators further hampering the business environment and increasing the demand/importance of oil. Getting a steady Wi-Fi connection can be costly, and while most hotels have V-SAT’s and free Wi-Fi for guests, the bandwidth is usually really slow. The best time get a decent connection is usually after 9 p.m. The costs for internet access ranges from about 1 – 4 SSP per minute, and cybercafés have 30 minute and hour long bundles. Social scene: There are several hotel restaurants, bars and barely a handful of clubs. That said, South Sudanese are very warm and welcoming. Most discussions there are about politics, football, nationalism and the future of the new republic. Unfortunately, I did not get to taste any typical South Sudanese food, but you can be sure to find a tasty dish of nyama choma, ugali and other East African delicacies. One unique thing to South Sudan is that it has its own beer labels, brewed locally. Try a Nile Special, White Bull or Club Pilsner—all local brewed by SABMiller. Safety: Even though there have been more reports of crimes—particularly in the Jebel Hills—Juba is still relatively safe. There are police check points along the main roads after midnight, but as a general rule, it would be wise to travel with a group of people and be mindful of your surroundings. While some foreigners have reported being harassed, I haven’t experienced that. As the country is still pretty new, there are few developed tourist sites. However, if you are into outdoor activity, a hike up Jebel hills is worth it. Random fact: In South Sudan, there are SUVs—yes including Hummers and Porsches—everywhere. In fact, its not uncommon to see someone with a luxury SUV and no actual home. More recently, there are several matatustyle buses operating in Juba. I tried to take one but was advised against it because, they do not always have defined routes. Other Travel Tips: – There are few ATMs in Juba, so be sure to have hard currency (preferably US$ or SSP). If carrying US$ make sure you have US$100 and US$50 notes—few places (if any) accept 1, 5, 10 or 20s. Also make sure your US$ notes were printed after 2006. – Do not forget to take malaria prophylactics at least two weeks before your trip to South Sudan and also try to get a typhoid vaccine. – The quickest and cheapest way to get around the city is by Boda Boda. But, though efficient, Boda’s are a bit more dangerous in Juba than elsewhere in the region because of the rough terrain. – Most hotels have potable water, but if traveling outside Juba be sure to carry a bottle or two of water. – If you are traveling out of Juba have a mosquito net & insect repellent handy. There are few hotels outside the main cities and you might have to stay in a tukul (hut). This entry was posted in Juba, Kenya domestic tourist, South Sudan, Sudan investments, TIA on November 22, 2012 by bankelele.